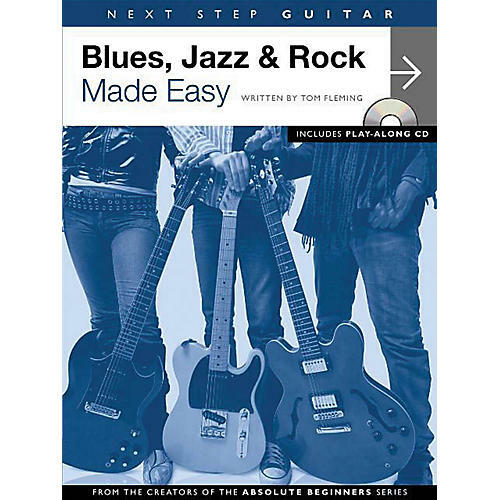 The guitar is the cornerstone of blues, jazz and rock music, and this comprehensive tutor provides a solid grounding in all three styles, complete with a CD of backing tracks and demonstrations. Learn classic blues patterns, phrasing and licks, as well as the characteristics of the Chicago and Texas styles. Unlock the secrets of modes and jazz soloing, as well as Montgomery-style octaves and Latin sounds. Get you hands around power chords, two-handed tapping, string bending and neo-classical metal scales. Become the very best all-around guitarist you can be. Whatever style you decide to play, you'll have the musicianship and the knowledge to make it work.